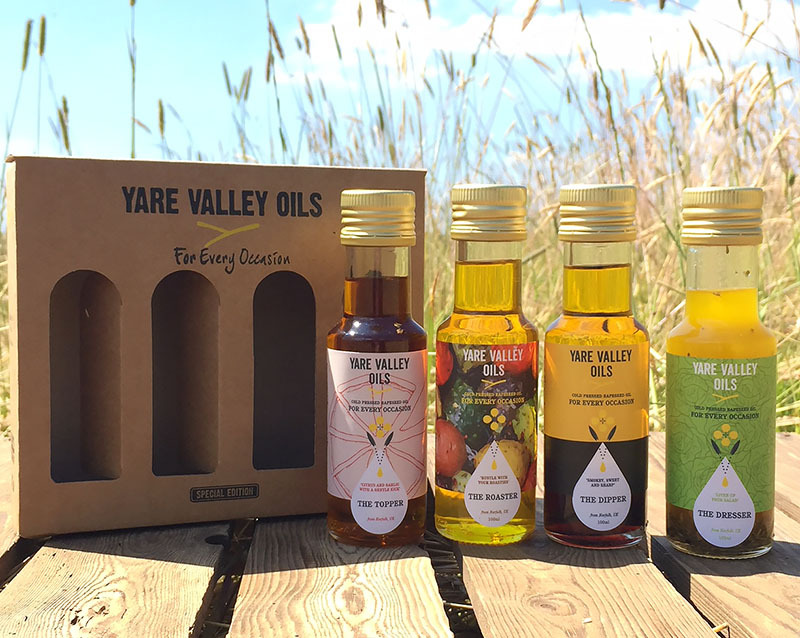 The For Every Occasion selection box is a new concept from Yare Valley Oils providing a range of oils to suit a variety of uses in the kitchen and beyond. The four types use a base of Yare Valley Oils’ high quality, grown and made on the farm, Norfolk cold pressed rapeseed oil. This is blended with herbs, spices and other delicious ingredients to create a burst of flavour in each bottle. From dressing to drizzling, roasting, baking and much more they are certainly useful for every occasion bringing a little something extra to all kinds of foods. Perfect for pizzas, salads, marinades, grilling and general drizzling. This wonderful blend of oak smoked oil and apple balsamic makes it a delight for dipping, salads, marinades and general drizzling. Unrivalled for roasting meats and vegetables, bread making, marinades, grilling and general drizzling. Delectable for dressing, dipping, marinades, lamb, chicken, pork, pasta, vegetables – try it with peas and new potatoes. The For Every Occasion boxes are available to buy online direct from Yare Valley Oils, The Yare Valley physical farm shop or from selected stockists.